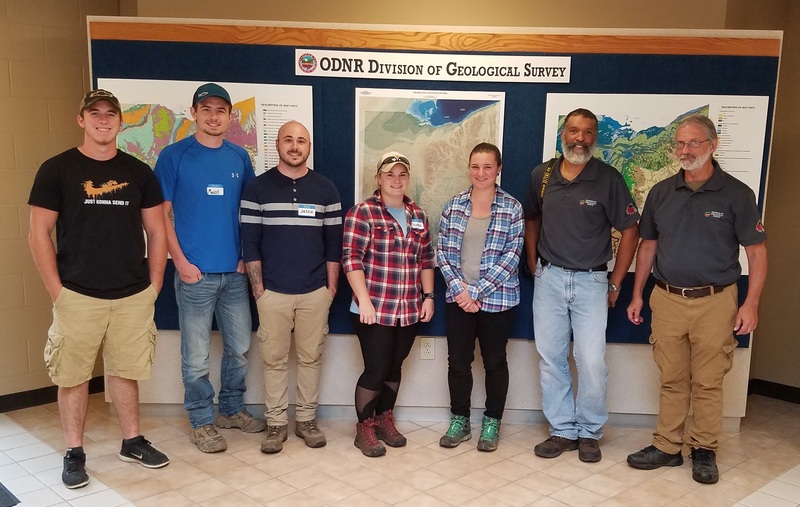 On Saturday, September 8 students from Hocking College’s GeoEnvironmental Science program attended the Ohio Geological Survey Open House at Horace Collins Lab near Delaware, OH. Founded in 1837, the Ohio Geological Survey's mission is to "provide geologic information and services needed for responsible management of Ohio's natural resources." What is the Ohio Geological Survey? The Ohio Department of Natural Resource’s Division of Geological Survey is the state's oldest natural resources agency. More commonly referred to as the Ohio Geological Survey (OGS), this division is a chartered division of the Ohio Department of Natural Resources and has continued to remain operational since 1900. The duties of the OGS include analyzing, gathering, and disseminating geologic data for the state of Ohio to the public. For energy, environmental, geotechnical, and geologic research, the Lab preserves and makes available for examination an analysis 300,000+ linear feet of Ohio core drilling samples. What Activities Did the Students Partake in? Some of the presentations students heard concerned groundwater resources, groundwater pollution potential, recent coal mapping, and the Ohio seismic network. A few of the activities students got to partake in included examining core drilling samples from across the state including thick salt deposits mined at depths of 1,700 feet from beneath Lake Erie, as well as samples of the Utica Shale, an important shale-gas drilling target in eastern Ohio and adjacent states. If you are interested in geology and the environment, perhaps you should consider enrolling in Hocking College’s GeoEnvironmental Science program. In only four semesters, students can graduate with an Associate of Applied Science in GeoEnvironmental Science. What Jobs Will This Degree Qualify Me For? For more information about this program, contact Dr. Michael R. Caudill by phone at (740) 753-6277 or by email at caudillm@hocking.edu.